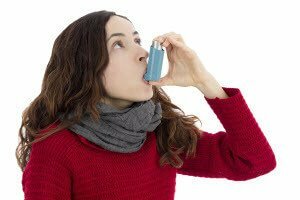 Is Chiropractic Treatment Safe For Asthma? Most people think that asthma is simply a health condition that is categorized by a person having difficulty breathing. However, it is a much more serious medical issue that can cause death if it is not treated properly. The number of people in the world who are living with asthma has increased dramatically due to highly processed diets and pollutants. Although some asthma sufferers control their symptoms using traditional methods, more patients are wondering is chiropractic treatment safe for asthma. Asthma is a disease that can become life threatening without proper treatment and maintenance. Chiropractic care is an alternative treatment that takes a completely different treatment approach from traditional medicine, and this is one of the reasons why asthma sufferers want to know is chiropractic treatment safe for asthma. Not only do those who have asthma want an effective treatment, they also want a treatment that is safe. As the interest in alternative medicine continues to grow, it is important to understand how chiropractic care can control asthma symptoms. Before chiropractic treatment can begin, a patient who is exhibiting signs of asthma will need to have a proper diagnosis. The diagnosis is important because there are several other health conditions that have symptoms that are similar. The diagnosis will also make sure the correct illness is identified, as well as the correct treatment plan is implemented. Chiropractic care for treating asthma includes spinal adjustments. Studies have shown that children and adults who have regularly scheduled chiropractic spinal adjustments show significant improvement. The improvements showed that attacks were less frequent and less severe. So, is chiropractic treatment safe for asthma? Chiropractic care is completely natural and does not involve any invasive techniques or dangerous medications. The treatments are beneficial for adults and children. Are you suffering with asthma and you are looking for a solution that is natural? Contact us for more information or to schedule an evaluation.